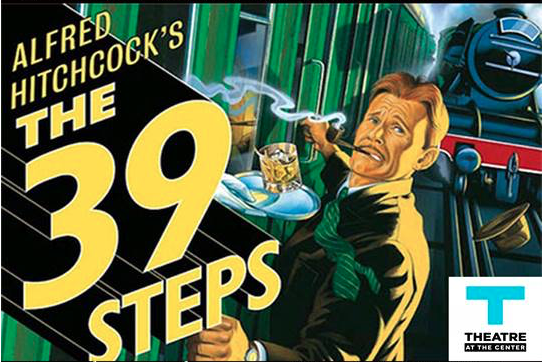 A hit on Broadway and in London’s West End, the thrilling comedy, Alfred Hitchcock’s “The 39 Steps” kick starts Theatre at the Center’s 26th season beginning February 18 and continuing through March 20, 2016. This comedic spoof offers non-stop action and features four actors playing more than 150 different characters. The show is filled with an incredible series of lightning fast costume changes that make for a great deal of laughter and excitement. 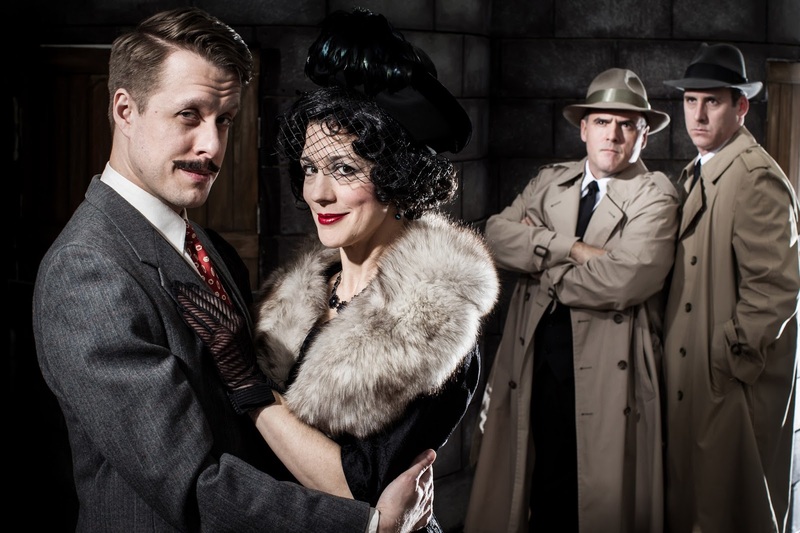 Pictured are Matt Mueller portraying Richard Hannay, Linda Gillum as Annabella, Norm Boucher and Kevin McKillip as the mysterious men in Alfred Hitchcock's "The 39 Steps" which opens at Theatre at the Center in Munster on February 18. Adapted from the 1935 Alfred Hitchcock film and the 1915 novel by John Buchan, the story follows Englishman Richard Hannay, who inadvertently embarks on a chaotic adventure full of narrow escapes and mishaps after trying to help a female spy. When he wakes up to find her dead in his apartment, he flees from the police and an espionage organization, desperately trying to find the truth. This whirlwind story is directed by David Perkovich with Matt Mueller (“Shining Lives: A Musical” at Northlight Theatre) as Richard Hannay. Linda Gillum (“A Christmas Story” and “The Fox on the Fairway” at Theatre at the Center) plays several roles including Hannay’s romantic interests. And Norm Boucher (“Big Fish” and “On Golden Pond” at Theatre at the Center) and Kevin McKillip (“Making God Laugh” at Theatre at the Center) each play more than 30 characters ranging from men, women, children, heroes, villains and even the occasional object. “The 39 Steps” production team includes Ann Davis, scenic designer, Brenda Winstead, costume designer, Michael McNamara, lighting designer, Barry G. Funderburg, sound designer, and Brittney O’Keefe, props designer. Matt McMullen is the stage manager. Richard Friedman is general manager and Linda Fortunato is Theatre at the Center’s new artistic director. Linda Fortunato has been nominated for five Joseph Jefferson Awards for her work as a choreographer and director. She received both the Equity and Non-Equity Jeff Award for Outstanding Choreography in the 2013-2014 season, garnering Theatre at the Center their first award for her Choreography of 42nd Street. In addition to her award-winning work on 42nd Street, Fortunato has been involved with over a dozen shows at Theatre at the Center, including choreographing Spamalot, Big Fish, A Christmas Carol, Guys and Dolls, Crazy for You, Fiddler on the Roof; performing in Lend Me a Tenor, The Diary of Anne Frank, and directing A Christmas Story. Fortunato settled in Chicago directly after college and now lives in Evanston with her husband, actor Sean Fortunato, and their seven year old son. Here at ChiIL Live Shows and ChiIL Mama we can't wait to check this one out! Nell Benjamin, Tony Award™-nominated co-composer and lyricist of Broadway’s Legally Blonde, penned this madcap physical comedy, animated by lightning-quick dialogue, daredevil stunts, precision acrobatics and onstage snakes and guinea pigs. The prolific David H. Bell, currently developing the English-language version of La Révolution Française in Chicago, directs with stunts and precision choreography staged by Max Fabian. 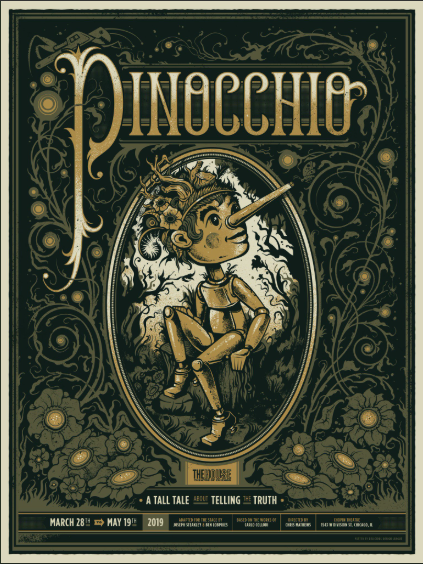 The antics, uproarious barbs and rejoinders of The Explorers Club are propelled by Phyllida Spotte-Hume (Cristina Panfilio) who believes Luigi, the blue NaKong tribesman she’s brought to London from a newly discovered race of Spoon worshipers, is her entree into the society as its first woman member. Goofy admirer Lucius (Alex Goodrich), a botanist and the Club’s acting president, sponsors Phyllida, while intrepid explorer Percy (Ryan Imhoff), returning from his expedition to the East Pole, vies for Phyllida’s affections even though he can’t take seriously the notion of a woman scientist. Neither can the Club’s resident zoologist (Matt Browning), herpetologist (Zach Shornick) and “archeo-theologist” (Dan Rodden). Chaos ensues in The Explorers Club after Luigi inadvertently insults the Queen, possibly setting the British Empire at war with the world. Windy City Playhouse, Chicago’s newest professional theater, launches 2016 with the Chicago premiere of Nell Benjamin’s slapstick farce The Explorers Club, set in a Victorian-era scientific gentleman's club. David H. Bell directs Cristina Panfilio (Chicago Shakespeare Theater’s Pericles) as a female anthropologist vying for membership. The Explorer’s Club has enough to deal with. One member has lost nearly all his guinea pigs, another can’t seem to locate the East Pole, the bartender is missing and, on top of all that, a woman wants to join. Before the British Empire crumbles under the weight, these good old boys must grapple with the approach of modernity, save the world from an international war and, for God’s sake, find a new bartender — but not until after brandy and cigars. The Windy City Playhouse performance schedule is: Wednesdays and Thursdays at 7:30pm; Fridays and Saturdays at 8pm; and Sundays (consult website for Sunday times). 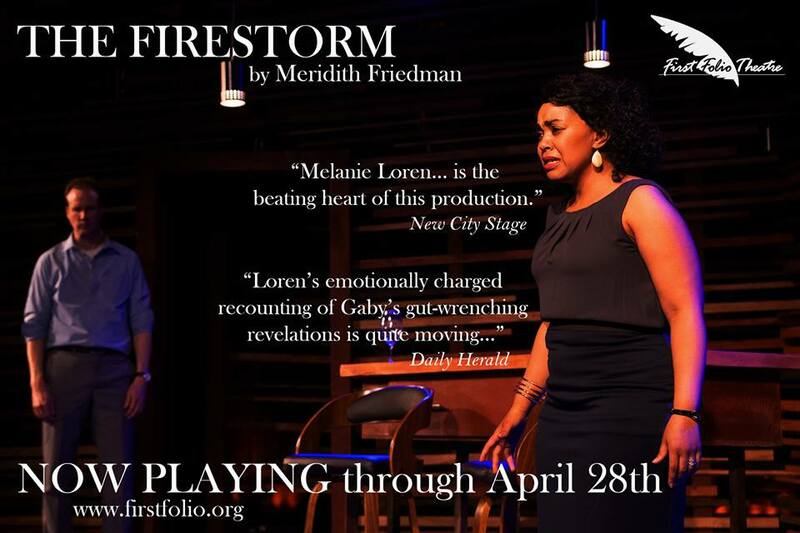 Single tickets range from $15-$55 and are available by calling 773-891-8985 or visiting windycityplayhouse.com. Flexible subscription packages are available for 2016. 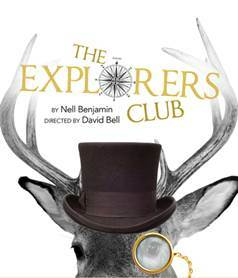 The Explorers Club is part of Chicago Theatre Week 2016. Select performances, between February 11 and 21, are available for $15 and $30 via ChicagoTheatreWeek.com. Windy City Playhouse is a new theater at 3014 West Irving Park Road. Opened in March 2015, the Playhouse is a professional theater meant to entertain through exceptional contemporary, relevant and approachable art. 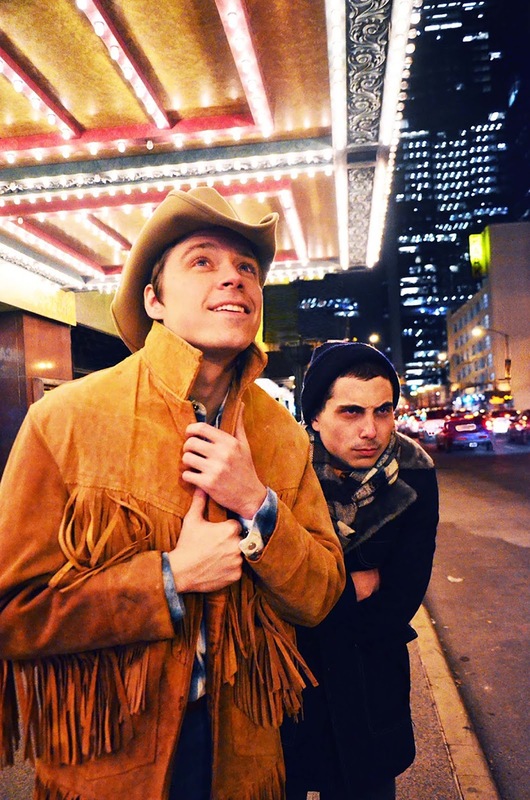 Combining relatable material with high quality artistry, Windy City Playhouse seeks to create work accessible by audiences of all kinds. With a full service bar and light snacks, the Playhouse is not a traditional theater, rather a fun, relaxing and entertaining environment. With amenities such as swivel club chair seating, the Playhouse is designed as a space for audiences to linger before and after the performance—a place to decompress with art. Casting is complete for Henry Wishcamper’s contemporary take on Thornton Wilder’s The Matchmaker—the inspiration for the musical Hello, Dolly!, praised as “one of the sweetest and smartest romantic farces ever written” (The Wall Street Journal)—revealing social truths through mistaken identity, outrageous misbehavior and spontaneous romance. Tony Award nominee Kristine Nielsen is Dolly Gallagher Levi, the vivacious matchmaker who is recruited to find a wife for the wealthy yet prickly widower, Horace Vandergelder, portrayed by Chicago favorite Allen Gilmore. Little does Horace know that Dolly is plotting to become the next Mrs. Vandergelder herself! Joining Nielsen and Gilmore are a cast of acclaimed talents and rising stars, including Theo Allyn (Ermengarde), Behzad Dabu (Barnaby Tucker), Larry DiStasi (Cabman/Rudolph), Marilyn Dodds Frank (Flora Van Huysen), Sydney Germaine (Minnie Fay), Marc Grapey (Malachi Stack), Anita Hollander (Cook/Gertrude), Ronobir Lahiri (Ambrose Kemper), Elizabeth Ledo (Mrs. Malloy), Postell Pringle (Cornelius Hackl) and Ron Rains (Joe Scanlon). The creative team includes: Neil Patel (sets), Jenny Mannis (costumes), David Lander (lights) and Richard Woodbury (sound). Alden Vasquez is the Production Stage Manager. The Matchmaker appears in the Goodman’s 856-seat Albert Theatre, March 5 – April 10, 2016. Tickets ($25-$82, as well as a special $10 ticket price for students) go on sale Friday, January 22; visit GoodmanTheatre.org, call 312.443.3800 or purchase in person at the Box Office at 170 N. Dearborn. For images and bio information for the company, visit GoodmanTheatre.org/PressRoom. Ernst & Young LLP and Interactive Health are the Corporate Sponsor Partners. 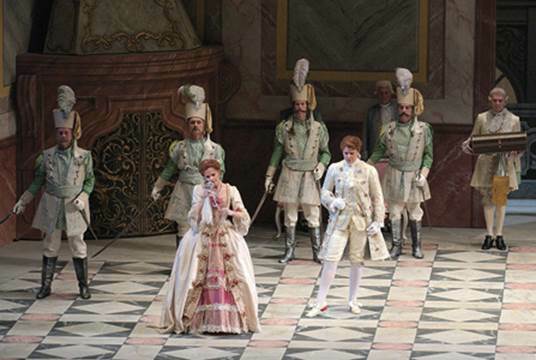 Broadway star Kristine Nielsen makes her Goodman debut. 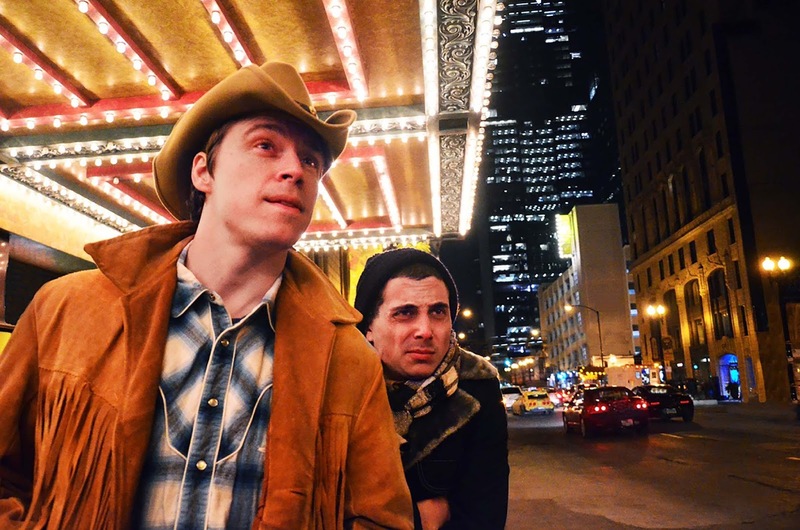 “This will be my first time back in Chicago since I graduated from Northwestern University 30-odd years ago, and I can't wait to unleash ‘Dolly Gallagher Levi’—crossing fingers for hijinks and hilarity results,” said Nielsen, who previously appeared as ‘Sonia’ in the Broadway sensation Vanya and Sonia and Masha and Spike by Christopher Durang, earning her the 2013 Tony Award Nomination for Best Lead Actress in a Play. On the heels of his appearance in Wishcamper’s production of A Christmas Carol, Allen Gilmore joins Nielsen to lead the 13-member cast. “I'm happy to return to the Goodman for this exciting reimagining of Thornton Wilder’s iconic play and am likewise overjoyed to reunite with Henry, Theo Allyn and Ron Rains, my buddies from A Christmas Carol,” said Gilmore, the 2015 recipient of the 3Arts Award, whose past Thornton Wilder credits include Our Town at Seattle’s Intiman Theater. 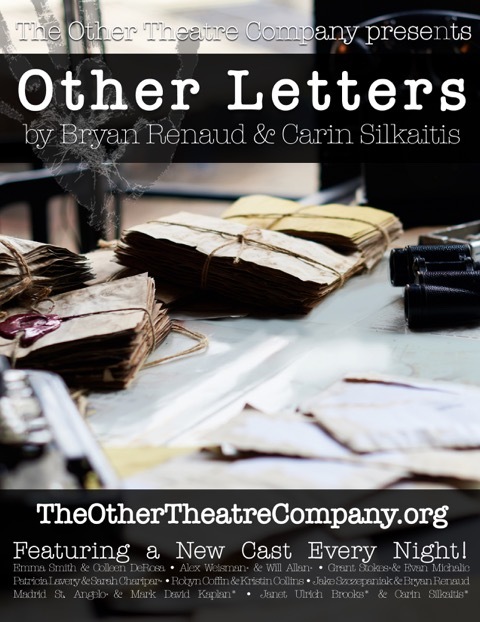 The Other Theatre Company (TOTC) and Artistic Director Carin Silkaitis are proud to present the next show in the company’s 2015-2016 season Other Letters, written by Bryan Renaud and Carin Silkaitis, and directed by Artistic Director Carin Silkaitis, February 7 – 29, with opening night Sunday, Feb. 7 at 8 p.m. at Side Project, 1439 W Jarvis Ave. The regular run schedule is Sundays and Mondays at 8 p.m. $25 tickets. Tickets may be purchased at www.buzzonstage.com/theatres/other-theatre-company. For more information, please visit theothertheatrecompany.com. Inspired by A.R. Gurney’s Love Letters, Other Letters will tell parallel stories of gay and lesbian couples. TOTC wants to replace phrases such as “normalizing gay relationships ” and “normalizing queerness” with “queering normal.” Queer relationships are just as flawed, just as messy, and just as wonderful as straight relationships. They aren’t interested in re-creating Love Letters with gay couples; they’re interested in showing a beautiful relationship, maintained through letters, that happens to be queer. People who are friends, lovers, and confidantes. People who come together, and drift apart, remember,, and forget. People who cannot be together, but cannot be apart. Other Letters will feature two separate scripts performed in repertory by new cast members every night. 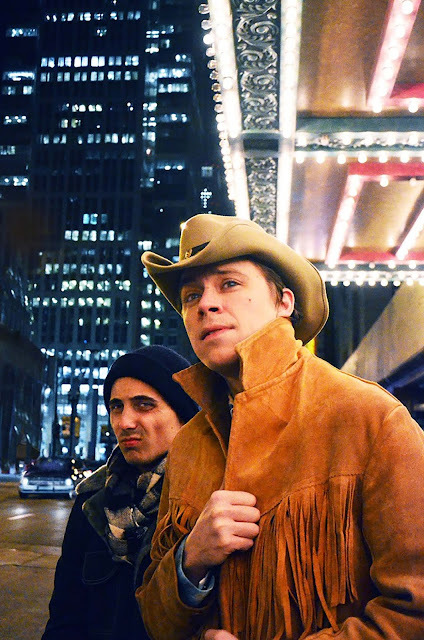 A director and actor, Silkaitis has directed plays at North Central College, Theatre Conservatory at Roosevelt University, XIII Pocket, Stage 773, Music By The Lake, and Echo Theatre Co. Recent Chicago acting credits include: Chloe in Lips Together, Teeth Apart (Eclipse), Doctor Manor/Physician's Assistant/Board Member 1 in Sons of the Prophet (American Theater Company), Dean Wreen in Seven Homeless Mammoths Wander New England (u/s with 2 full weeks of performance, Theater Wit), Clem in Raggedy And (Stage Left Theatre - Leapfest), Queen Margaret in Richard III (Oak Park Festival Theatre), Mama (and other roles) in Distracted (u/s American Theater Company), and Izzy in Rabbit Hole (u/s Goodman Theatre). Her favorite regional credits include: Love Letters, Dangerous Liaisons, and A Comedy of Errors. She will appear in the upcoming TOTC production of The Realm and in the 2017 production of Visiting with Artemisia Theatre. Silkaitis recently appeared in the SAG Feature Film Unexpected, and has been busy acting in commercials, industrials, and voiceovers. She is the current Department Chair of Art and Theatre at North Central College. The Other Theatre Company is a collective of artists dedicated to telling the stories of those who are "othered" by systems of oppression. Comprised of activists who openly express their opinion on the various issues presented in the media and beyond, The Company engages their audience in a dialogue through performance and educational outreach. The Other Theatre Company believes in and fights for equality and rejects cultural hegemony. Goodman Theatre, in collaboration with off-Loop theaters, DePaul University and Northwestern University, presents an eight-week “Celebration of Latina|o Artists,” centered around its first two productions of 2016, both of which are world premieres—Another Word For Beauty by José Rivera (starts this Saturday, January 16) and Roberto Bolaño’s 2666, adapted and directed by Robert Falls and Seth Bockley (starts February 6). Curated by Henry Godinez, Goodman Theatre Resident Artistic Associate and 2666 cast member, the celebration highlights the careers and influence of noted writers Bolaño, María Irene Fornés and Rivera and includes a slate of readings, discussions and more—many of which are free of charge. Celebration events begin January 16 and continue through March 13. For ticket reservations and information, visit GoodmanTheatre.org/LCelebration. Tickets for Another Word for Beauty ($25 -$77) and 2666 ($20-$45) are available at GoodmanTheatre.org, by phone at 312.443.3800 or at the box office (170 North Dearborn). Broken Lizard, the hilarious comedy troupe best known for the cult film comedy Super Troopers (and its long-awaited 2016 sequel Super Troopers 2), is coming to Chicago with their live one-night comedy extravaganza Meow What? Lizards’ Jay Chandrasekhar, Kevin Heffernan, Steve Lemme, Paul Soter and Erik Stolhanske, stars and creators of the movies Super Troopers, Club Dread and Beerfest, appear live in Meow What? : An Evening with Broken Lizard, Thursday, February 25, 2016, 8 p.m. at Park West, 322 W. Armitage. Broken Lizard is a five-man comedy and film-making group, devoted to intense sunshine, Floridian deep tissue massage and the advanced study of keeping it realism. During their travels, they made Super Troopers, Beerfest, Club Dread, The Slammin’ Salmon and Puddle Cruiser. Now they are raising funds to complete Super Troopers 2 at supertroopers2movie.com. Based in the Albany Park neighborhood, Halcyon Theatre was formed in 2006 to connect people, transform borders and ascend toward a more just union. The theatre’s artistic philosophy is driven by the continuing belief that at every point of human history where there has been an explosion of artistic creativity, it has happened when different cultures and traditions have met and learned from each other. Halcyon’s work includes productions as well as providing platforms—including Compass Lab as well as writing workshops & new play labs—for artists to grow and reach their full potential. 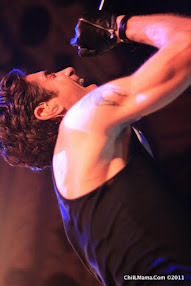 www.halcyontheatre.org. 2016 came in with a roar and a cowbell. CLUTCH killed it at Bogart's, an intimate and infamous venue that's been a staple of the Cincinnati scene since the mid 70's as a concert hot spot and as early as 1905 as vaudeville venue. We were super stoked to be there shooting for ChiIL Live Shows and ChiIL Mama. You've heard of "The Hottest Band in the Land... KISS"
and "The Only Band That Matters... The Clash." Now meet "The Best Metal Band With Cow Bell... CLUTCH!!" D.C. Sound Attack indeed!! What a welcome for 2016.
full Clutch NYE slide show. One thing we dig about Clutch is the band members take turns writing the set lists. I don't know who planned the NYE show, but it was a stellar mix of old school and new tunes and the pre-show music was a big ol' Lemmy fest. *Pure Rock Fury was played instead of Son of Virginia. We've been fans of Clutch's unique rock stylings since they began in the early 90's and we're happy to see them finally getting the critical acclaim and wider audience they deserve. Clutch fans are some of the friendliest, most unpretentious people out there and it's always a great vibe at shows. One thing we love about Bogart's is their all ages shows truly are. We're not talking just 18+ under agers. Kids were welcome at the Clutch NYE show and some of the next gen rail riders even left with drum sticks and guitar picks! NYE can be a time of reflection and of celebrating the old and new. Speaking of old, I was there with my husband of 15 years, a guy I've been catching Clutch with since the early 90's. And we made a whole slew of new friends at the show and met others in person that we've known on line from the Clutch facebook group! One of our new friends confessed to discovering the first Clutch album when she worked at a college radio station. It wasn't getting much air play, and she loved it so much she stole it. She admitted to feeling a twinge guilty in later years, but she's made amends by spreading the Clutch love since then. In fact, she was there with her boyfriend who was a live Clutch virgin till the Cleveland show the night before. By NYE he was an enthusiastic full convert! Our Clutch initiation was less dramatic. We were turned on to their first album by mutual friends, and have caught them every chance we get for the past 20+ years. I've been shooting and reviewing their shows for about the past 5 years and it was truly a treat to catch Neil for a video interview right before Earth Rocker came out a few years back. Click here for more of our past CLUTCH coverage. Happy new year all. Hope 2016 is filled with music, creativity, laughter, friends, family and fun. We'll see you out there. Remember to check back with ChiIL Live Shows for arts & entertainment news, reviews, interviews and giveaways for Chi, IL and beyond. Follow us on FACEBOOK and TWITTER so you don't miss out. Follow us by RSS feed (add your address in the side bar to the right) to get an easy e-mail digest and/or get real time updates & first dibs on giveaways via social media. We never share, spam or sell your contact info. Just another brick in the wall.... Had to include this. Security was standing on cinder blocks in the photo pit so they'd have better sight lines on the crowd. Never seen anything like it!